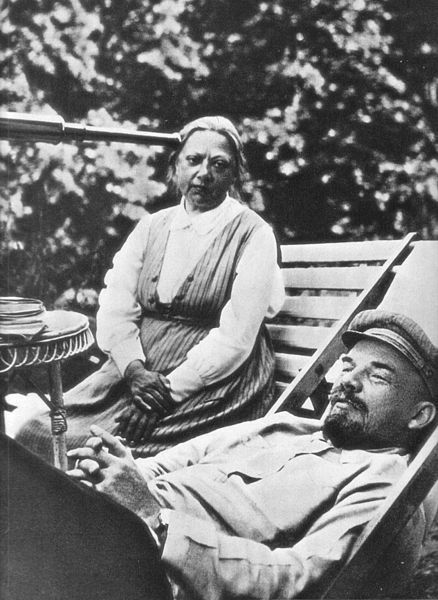 Vladimir Lenin and his wife Nadezhda Krupskaya in 1922, whose influence on Soviet libraries would persist throughout the 20th century. When the Soviet state emerged following the Bolshevik Revolution of 1917, there were approximately 76,000 libraries in Russia,most of which were small collections of textbooks in parish schools. Additionally, very few public libraries existed in the outer territories of Uzbekistan, Kirghizia, Tajikistan, Turkmenia (later Turkmenistan), Georgia, Azerbaijan, Lithuania, Moldavia, and Armenia (Sikorsky et al. 1979, 196). Illiteracy was rife throughout the region until the tsarist regime was overthrown. Under Vladimir Lenin and his wife, Nadezhda Krupskaya, the literacy and education of the Soviet people became top priorities for the new communist government, and particular attention was given to schools and libraries. In the words of Krupskaya, “Without a book, without a library, without the skillful use of books there can be no cultural revolution for the reader” (Richardson 2000, 106). With this belief, Lenin and Krupskaya helped transform Soviet libraries into tools of the state meant to indoctrinate as well as educate, which they remained until the fall of the U.S.S.R. in 1991 (Horecky 1959, 2; Lerner 1999, 105). In the Soviet Union, libraries and librarians were part of the political process, and the materials made available to the masses were those that supported the ideology of the state and served to turn readers into good communist workers that would uphold the communist state (Richardson 2000, 114). This necessitated the removal of any works which did not support the Communist Party’s position (Lerner 1999, 105). Conversely, American librarianship was moving toward the concept of intellectual freedom, so that by the 1930s, librarians in the United States cherished the idea of diversity of opinion and free access to the widest possible range of views and opinions (Lerner 1999, 103). Despite ideological differences, Lenin believed that “bourgeois” knowledge was necessary for the success of his new nation, and even encouraged the adoption of suitable American and Swiss library models within Soviet libraries (Richards 1998, 392; Jackson 1974, 422). Indeed, according to an account of the Director of the Institute for Library Science of the All-Union Lenin Memorial Library in Moscow, American library methods, such as cataloging practices, were widespread and adapted to Soviet conditions (Haffkin Hamburger 1926, 261). 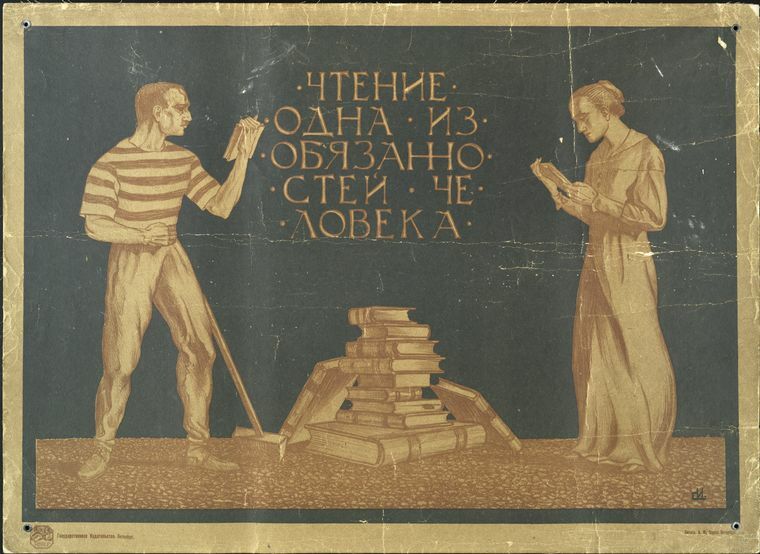 A Soviet poster circa 1920, “Chtenie – odna iz obiazannostei cheloveka, or ‘Reading is obligatory to man,’ ” by S. Ivanov. During the two decades following the establishment of the U.S.S.R., exchanges of literature and of librarianship ideology took place between U.S. and Soviet library communities. The first American university to initiate exchanges was the University of Illinois in 1921. In the 1920s and 1930s, the agreements for exchanges of books and periodicals between American and Soviet libraries grew from a handful to 354, so that by the late 1920s, over 30% of imported foreign literature was from the United States (Richards 1998, 393). The American Library Association even gave monetary grants to Soviet research libraries for the purchase of American periodicals (Richards 1998, 397). With the exchange of professional literature came increased knowledge of professional activities on either side and, for a time, an exchange of opinions despite the mutual suspicion of each other’s political ideologies (Richards 1998, 37). 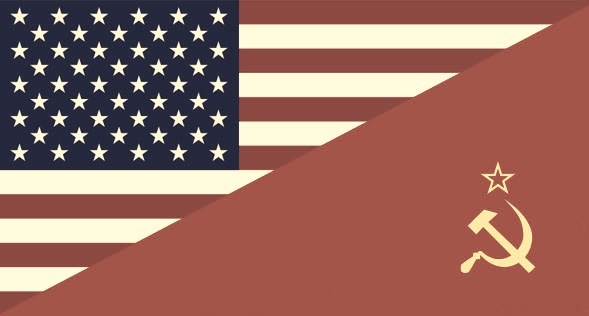 By the advent of World War II, the reciprocity between American and Soviet libraries was greatly reduced by Stalin’s regime so only a handful of authorized research libraries, such as the Lenin State Library in Moscow, were allowed to continue receiving foreign literature. In addition, the libraries of the U.S.S.R. suffered from the vicissitudes of war and by its end in 1945, many had been looted and destroyed by Nazi forces (Sikorsky et al. 1979, 197).